Win a trip to Atlanta to compete in the International Finals in August 2019. Trip includes flights, accommodation, activities & more. COMPETITION UPDATE - We are excited to announce that Miss Sunburst will be held at a brand new venue PLUS there will be no age cap for entrants, if your over 18, you are good to go! NOVICE - This pageant includes a Novice category that is open to girls who haven't won or placed at a previous pageant before (modelling competitions aren't included in this, pageants only). The Novice winner on the night will win free entry into the Miss British Empire Pageant, tiara, sash & prize package. 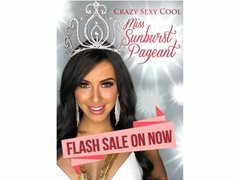 COST - Entry fee includes Pageant Finalist sash, 1 x free photo entry into the online portion of the competition plus gifts & vouchers. PRIZES - Venue winner will receive flights to Atlanta to compete in the International Finals in 2019 including accommodation and entry in to the pageant plus four additional categories. 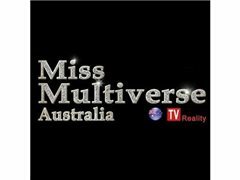 The winner will compete in the either Miss or Ms category depending on if they are over or under 27 years of age. Both categories allow you to win the pageant overall. Sashes, trophies, tiaras & crowns up for grabs. Complete prize list coming soon. SPECTATOR TICKETS - Ticket information coming soon. The Miss Popularity winner (the entrant who sells the most tickets) will win free entry into the Miss British Empire Pageant, crown, sash & prize package. - Prize package is subject to change. - To view our full list of our Terms & Conditions, head to our website. PLEASE NOTE - Limited spots available.